I've been blogging for over one and a half years now, and despite being a rather seasoned pen collector for years, I never wrote any letters up untill now. I had never been in contact with correspondence paper either. My trusty Rhodia pads always did the job, so why would I buy even more expensive paper? And there I found this, 'Original Crown Mill' laid paper and matching envelopes. I had heard of the brand before, but never reached out for it. 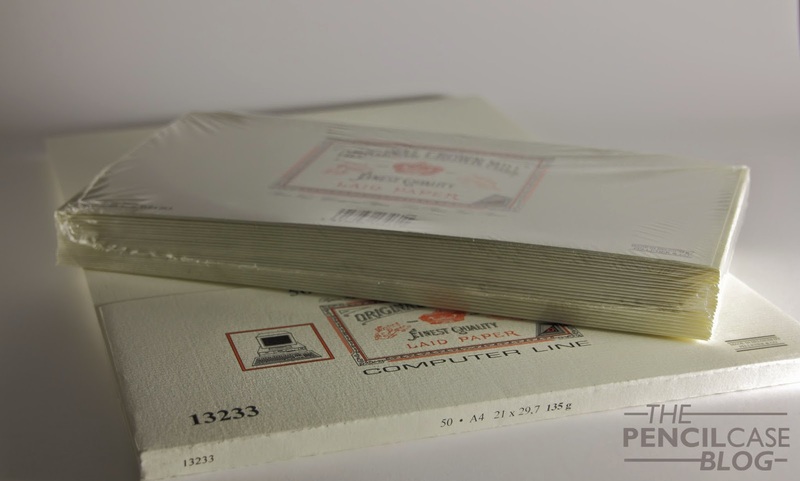 Original Crown Mill is specialised in making high-quality paper, and the best thing about it: It's made in Belgium! I honestly feel somewhat ashamed for not knowing a pen-related brand situated only 50 or 60 miles away from my house! 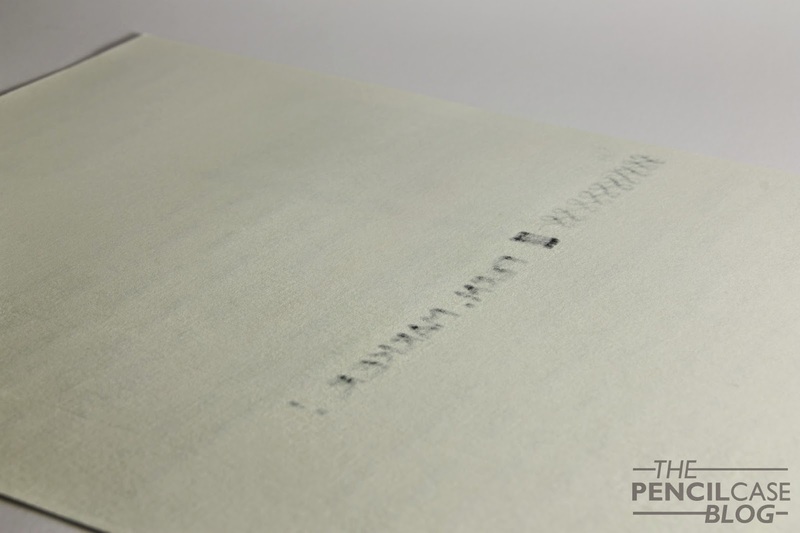 The paper comes wrapped in plastic foil, and is protected by a hard cardboard backing to keep the sheets nice and flat. There's 50 sheets per pack, and they aren't bound together. It's a bit tricky to stash a pile of paper that isn't held together in any way, but at least you won't risk damaging the paper while removing a sheet from the stack. I don't think presentation on something else than a pen is really important or noteworthy, so I'll leave it at that (not that there is any noteworthy presentation anyway really...). First thing I noticed: it's seriously heavy paper! 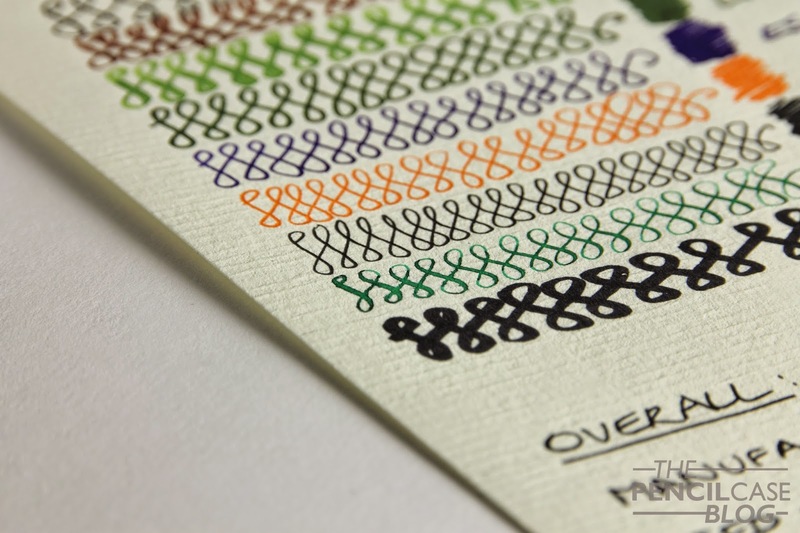 at 135 grams per square meter, it's more than 60 percent heavier than most Rhodia paper. There's also a 200 gram version, which is not really meant for correspondence , but rather for cards and artsy stuff. 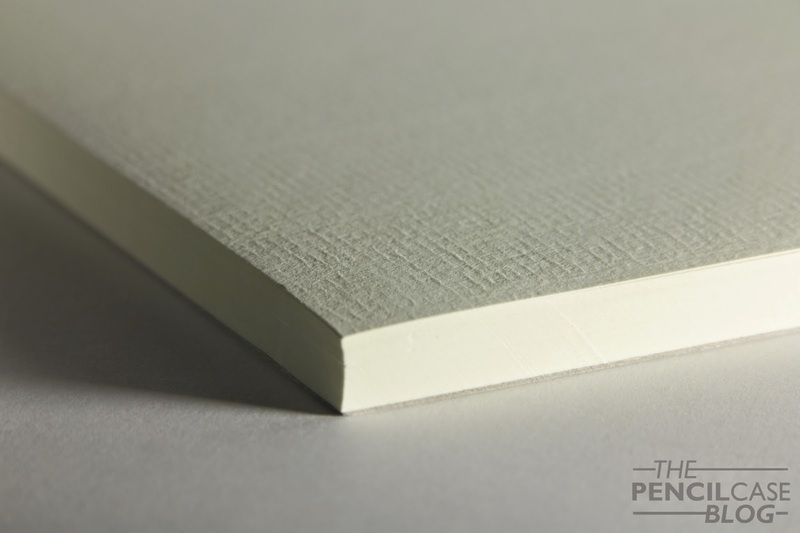 Of course, the most interesting aspect of laid paper is the texture. The subtle horizontal lines give the paper it's character, and make for an interesting experience when writing. I expected the texture to be quite noticeable and annoying, but most pens work perfectly fine, only my Lamy 1.5 stub had some issues to get a consistent flow going, but it also does that on other paper. The heavy, cream-colored paper handles pretty much every pen very well. It's very feather and bleedthrough resistant, despite its rather fibrous appearance. In the end, a permanent marker was needed to get consistent showtrough and some bleedthrough. But as long as you only use one side of the paper, even permanent markers are still perfectly usable, it didn't even feather. Very impressive! 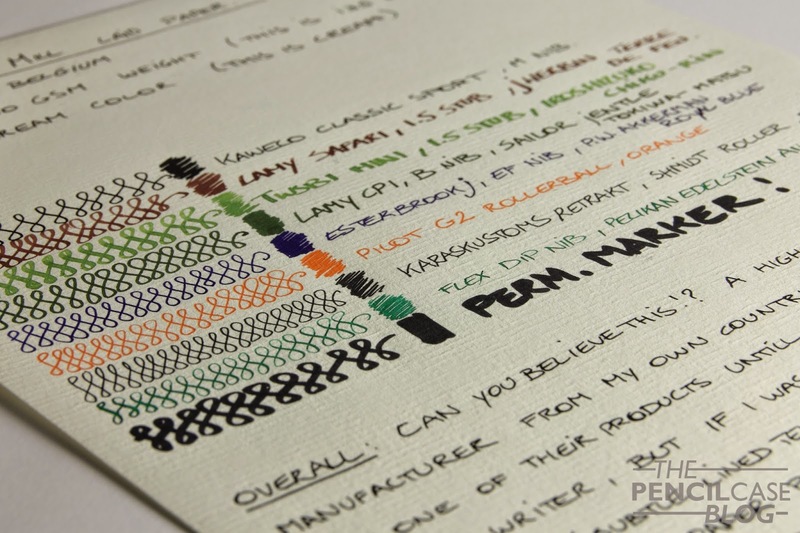 The fibrous paper has quite a bit of texture to it, which means it's not as smooth as Rhodia paper, but it has endlessly more character and style to it! I also found out that it takes away some contrast and shading from your inks, but it gives solid, consistent performance in return. Which sounds like a fair deal to me. I'm completely smitten! 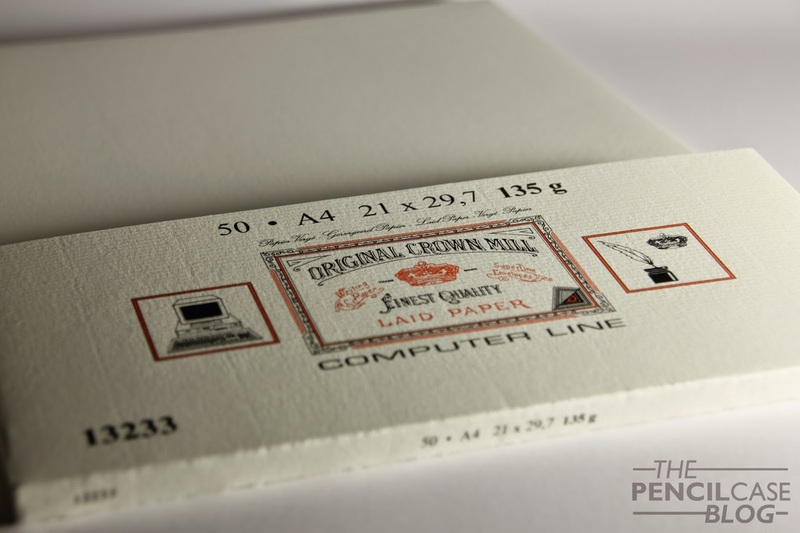 This Original Crown Mill paper really impressed me on pretty much every aspect. I never thought I'd find anything better than Rhodia paper, which- don't get me wrong- is still the smoothest of the bunch, but this is it! Writing on this kind of paper is an experience on its own, and the performance is excellent! I paid about 8 EUR/ 9 USD for the paper and another 6 or 7 EUR for the envelopes, which is a bit more than Rhodia paper, and it's only fifty sheets instead of eighty, but I'd still consider it a pretty good deal. I am off to pick up some of this paper. I have a bunch of their envelopes and love them, and so I know my letters will look very nice on this paper. Thanks for the review.